Once more into the vault my friends, once more into the vault. Step back in time, to a time when the modcast was young and fresh. Step back to December of '06. I've opened up the vaults and dusted off a classic modcast that I think you'll enjoy. Again. This is modcast 31 and I'm finally getting around to presenting what I think are the essential tracks for the modern mod's music library. These bands represent just a bit of the latest wave of music reflecting sixties R&B, power-pop and soul influences. Bonus Video: Mando Diao's video for "Paralyzed"
This one is a recent appearance of Head Automatica on Carson Daily's show doing the Joe Jacksonesque "Lying Through Your Teeth". Questions? E-mail me at mailto:rob@mistersauve.com. 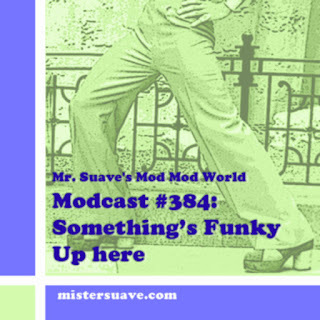 Mr. Suave's 100th Mod Mod Modcast!